He powdered his hair to give it that color. His natural color was a light brown but that was the style back then. We remember Washington's hair as white because he powdered his hair for special occasions. The article says, " that's why Washington bunched his ponytail into a silk bag..." This is crazy I can't believe George Washington was so determined for his hair to be white that he put his hair in a bag! Turns out his hair was actually a red-gold color. 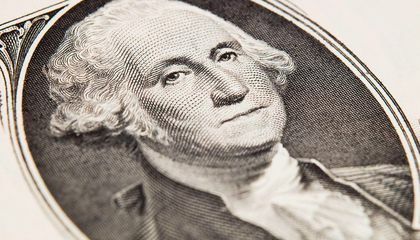 We remember George Washington's white hair because later in his life he became president and had his white hair. This time is also when he was most famous so all the paintings are of him with white hair. I found it surprising that his hair was really white. I found it interesting that he never wore a wig. I wonder what their tricks were to making his hair not look like dandruff, but I guess we will never know. We can't go back and find out, and unless someone wants to volunteer to powder there hair and then say how they made it not look like dandruff, the world will never know. 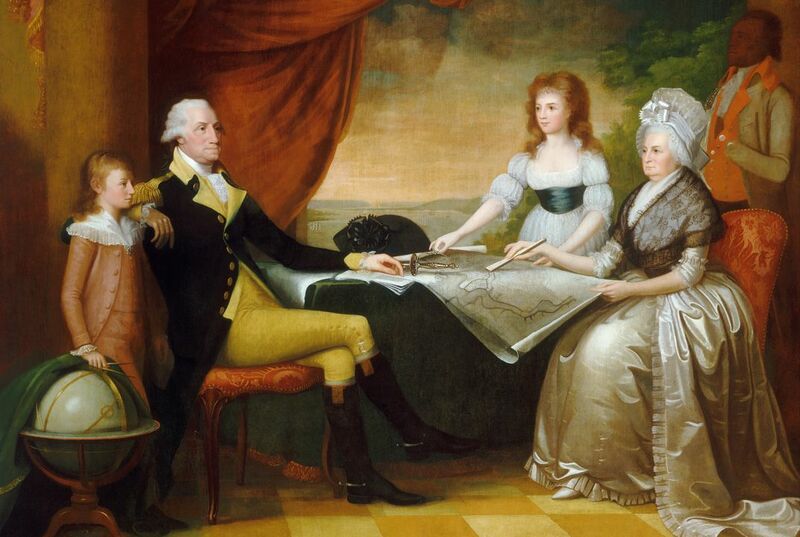 We remember Washington's hair as white because back then, that colored style of hair was really fancy. Also, most of the paintings people make of him are usually with white hair. Another reason is because when he became president, he had white hair so their was also many more pictures because of that. I really thought that in his paintings, he had a wig or his hair was really white. Because he powdered his hair, the common style back in those days. Most people remember George Washington's hair to be white because we think of this time to be an old time. We also remember his hair to be white because of course, as you get older, your hair will eventually turn gray. Another reason would be that when they did these styles back then, the wigs that they wore were gray as well. A lot of the pictures shown of him show his hair being white. We remember Geroge Washingtons hair as white because it is showing in that color when you see the dollar bill.Even in images his hair was hite because he used with powder to powder his hair.No one knows how he kept it sticky when he would dance with the ladies that was one of his favorite things to do.We see his hair as white because of the powder he put in his hair the article says "Washington powdered his hair a a chore"so he would do that every day and his hair is an actual light brown not white. We remember George Washington's hair as white because he would always put powder on it. He never really have his hair as his natural color because he thought it wasn't fancy. What he would do is that he would put the powder on his hair and he would style it how he wants to. We don't know how he keeps the powder on his hair because if you put some type of powder or something else that's powder-like, some of it would fall off. In the article on the last paragraph it talks about how Washington keeps his perfect rolls and possible his powder in perfect shape and it might be because of greasy hair and a lot of pomade. We remember George Washington's hair as white because in most of the painting where George Washington was in he has white hair. In the first paragraph it said that if you pull out a dollar bill you will remember the color and stuff like that. Another reason why we remember George Washington's hair white is because in the time period when George Washington was alive, wigs where in style. That means that many people were wearing wigs. In the 4th paragraph it said that styles were going away. That is why we remember George Washington's hair as white.